This is a sentiment that Sudha strives to live by in all aspects of her personal & professional life. With 58 transactions in 2018 Sudha Schlesinger & her team are ready to offer customized service & support to clients seeking help with Sonoma County. Lauded for their dedication & determination to go the extra mile, the team’s reputation for excellence continues to attract home buyers & sellers that want the best Agent behind them/on their side. Her in depth knowledge of the Sonoma County real estate market & economic trends in the area having lost her home in the Tubbs fire in October of 2017 provide her clients with a significant advantage when they need consultations on strategic plans for selling, building or buying homes for their real estate decisions. Her team's success is underscored by client testimonials that speak to their strategic, innovative and proven approach to real estate. She has built her business by forming long-lasting relationships with her clients almost all of who end up being friends. They trust her uncompromising ethical standards & in her ability to help them find new homes they love & or sell their homes for a premium when they relocate. 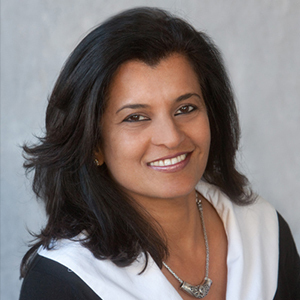 Prior to starting in real estate in 2008, Sudha moved to Sonoma County for her husband’s career. She worked as a Researcher/Clinical Scientist for 15 years. Her background in dealing with patients under a lot of stress, has helped her navigate the complexities of transactions and focus on the impact decisions that real estate makes on people's lives. In the last 10 years, she has worked hard to distinguish herself to be among the most well-respected, liked & top ranking Realtors in Sonoma County. Her background in Clinical Genetics laboratories, dealing with both patients and corporate clients, has helped her to navigate the complexities of transactions all the while focusing on the impact decisions regarding real estate make on people's lives. Dealing with people and negotiating on a daily basis were a big part of her life growing up in India and her interpersonal and negotiation skills have allowed her to be successful in one of the most vital aspects of real estate transactions delivering results for the client. She is known for her straightforward, yet personable, style. Her team covers a wide range of property types to keep them challenged, motivated to excel, and still having a little fun. Choosing a real estate agent is a very personal decision. It’s important to select an agent that fits your style and personality, yet has the expertise to successfully close the deal, give her a call. You will not be disappointed. Sonoma County comprises a wide variety of residential real estate, ranging from tract homes, magnificent custom homes, equestrian properties, and country and vineyard estates – all within a 50-mile radius of the Golden Gate Bridge. “My team at Compass, and I, repeatedly exceed our clients’ expectations." Sudha is backed by an enthusiastic & innovative team of elite real estate professionals, each of whom plays an integral role in your transaction. Philip Sevilla – Motivated Licensed Agent joining our group to help us continue to exceed expectations.